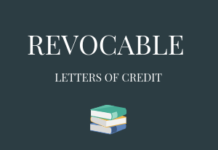 Home Letter of Credit Types What is a Transferable Letter of Credit? Transferable letter of credit is a special type of lc which is suitable for triangle trade. Transferable letters of credit are sort of documentary credits which can be used in situations where middlemen are playing a certain role. Usually middlemen (first beneficiaries) do not have enough capital establishment to buy the goods from their sources (second beneficiaries) before they re-sell them to their final customers (applicants). If the final buyer finds it valuable working with a middleman, then he can let the middleman benefit from his credibility by supplying him a transferable letter of credit. 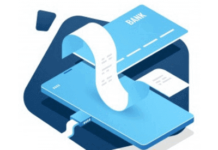 The middleman have the part or all of the transferable letter of credit transferred to his supplier, who has gained considerable payment assurance to ship the goods. The supplier can receive its payment portion in exchange for the complying documents stated in the letter of credit. The middleman is entitled to substitute its own invoice for the one that is presented by the supplier and collects the difference as his profit. Transferable letter of credit is a special type of l/c which is suitable for triangle trade. Triangle trade is a type of international business transaction in which a middleman sits between exporter and importer. Middlemen or trade brokers have limited finance facilities. As a result, they have to rely on their buyers’ finance support such as a transferable letter of credit. Process of the transferable lc is as follows in a very simple term. Middleman’s buyer open a transferable letter of credit in favor of the middleman. Then middleman transfers a part of this l/c to his supplier. The difference between two l/cs is the net profit margin of the middleman. Banks play a key role on transferable letters of credit. UCP 600 rules have special articles about transferable letters of credit. Previous articleWhat Does Latest Date of Shipment and Expiry Date Mean in a Letter of Credit?